1. Talisman, from Bristol, England, UK, formed in 1977 and were one of the UK's top Roots Reggae bands in the late 1970s and early 1980s.The band's prowess earned them support slots with acts as diverse as Burning Spear, The Clash and The Rolling Stones. 2. TALISMAN are a hard rock band characterized by an international melodic/powerful sound. TALISMAN started off more or less as the brainchild of the amazing bass player Marcel Jacob. He played with bands like Rising Force, John Norum Group and Power. On the first self titled album, TALISMAN were not really a band: Marcel was playing with John Norum when he started working on the tracks he thought would end up on the second Norum's solo album after he left Europe. The singer on those demos was Göran Edman, also in John Norum Group at that time. But John rejected the songs and, in the meantime, Göran was offered to join Yngwie Malmsteen. Marcel was later contacted by a guy who had previously worked for the label which had originally showed some interest in the demos. This guy was pretty much sure that a couple of tracks could easily become hits. This was very good but Marcel didn’t basically have anyone lined up. So he started looking around for musicians, while the auditions done to some Swedish vocalist contenders were unsuccessful. Cary Sharaf (ex Wasa Express guitar player) suggested the name of Jeff Scott Soto: he was called, he got the material and said yes! Both Jeff and Marcel had played on Malmsteen's "Marching Out" in 1985, hitting the road to support the album and making quite a stir in Japan. In February of 1989 the recordings for the first album took place in Stockholm with Christopher Ståhl (Power) and Mats Lindfors (Norum, Grand Slam) on guitars, Peter Hermansson (220 Volt, Norum) playing drums on some tracks and Mats Olausson (Yngwie Malmsteen, Glory) on keyboards. Marcel programmed the rest of drums and played all rhythm guitars with the help of the producer Mats Lindfors on "Women, whiskey and songs"
Unfortunately, Electra, the label Marcel was signed to, went bankrupt just when the mixing was finished, therefore the album got locked for a while. Meanwhile, Jeff US based project Eyes got signed. Marcel left for LA to help Eyes demo and record what would be their first release. During this time somebody from the label that had originally signed TALISMAN found a new label to work for and the masters of the first album were bought from the bankruptcy. So “Talisman” was eventually released in February 1990 on the Airplay/Vinyl Mania. The first single "I'll be waiting" was tested on the biggest hit radio show and reached number 2 in the top ten of the singles chart! The album ended up selling more than 33,000 copies in two months in Sweden! On live gigs the band featured Jason Bieler on guitar (Saigon Kick), Jakob "Jake Samuels" Samuelsson on drums and Thomas Wikström (Talk of the town, Candlemass) on keyboards and backing vocals. TALISMAN ended up on the top ten list of drawing acts in Sweden in the summer. Unfortunately, the label went bust putting an end to any chances of international adventures for the album. The time following summer 1990 was rather difficult. Jeff was signed to the label Pasha doing Eyes. Jason Bieler was enjoying some success with Saigon Kick. Marcel got signed to Warner Sweden because of the success of "Talisman" and had to put together a band. A trip to the US and the UK followed, looking for talent but nothing really worked. Eventually Marcel met again Matti Alfonzetti, an old acquaintance from grade school and from touring in 1986 with Swedish fusion/rock group Wasa Express, and they started writing and recording together in 1992. After some auditions, Matti, Marcel and Jake Samuels chose the young guitar player Fredrik Åkesson (19 years old at the time). When everything seemed to be perfect, the guy that got Marcel signed to Warner left and the new person in charge was not interested in dealing with any acts he hadn’t signed himself. Since it took most of 1992 to find a new label, Matti Alfonzetti left and joined Skin Trade. Christer Wedin, who was doing some press and promotion for the label that released “Talisman”, became the Swedish label manager for Dutch/Canadian label Dino Music (later Empire Records). Christer was interested in releasing a second TALISMAN album, if only Jeff was available. As Eyes were history (the album was released on a label apparently dealing with rock music for the first time), JSS agreed. So back to the studio once again! In the meantime Jake Samuels had left to join Zinny Zan's band and so Marcel programmed all drums. The new album "Genesis" was recorded in three weeks’ time in December 1992 at Stocksund Recording Studios, in the elegant quarter of Stockholm, where the video for "Mysterious" was shot as well. Jeff joined the guys with his then girlfriend Julie Greaux (Billy Idol, Axel Rudi Pell) who ended up playing the grand piano on "All I want". In conjunction with the release of "Genesis" early 1993, Dino Music managed to obtain licensing of the first album from Vinyl Mania and re-issued "Talisman" adding six live tracks taken from some gigs played in Sweden in 1990. When “Genesis” was released, the single “Mysterious” got some airplay, and the album immediately sold more than 15,000 copies in Sweden. Furthermore, both “Talisman” and “Genesis” gathered some international interest and were released in Japan on Zero. The band did a club tour in Sweden in March with Julie Greaux on keyboards and Jake Samuels back again on drums. While the band was planning a tour in Japan, Jake left again to pursue a singing career. The new drummer was found in Jamie Borger (long time favourite drummer for Marcel) from the just broken up band Treat. TALISMAN became “a group” for the first time and were now ready to tour Japan (where the live album "5 out of 5" was recorded and released postponed) and Europe. For the next album the group prepared more than for any previous recording. After the end of the European tour early October, the guys were supposed to fly to LA to record the already available material. But those plans were disregarded and the recording got delayed. Fredrik, Jamie and Marcel spent the following two months in a rehearsal studio in Upplands Väsby, just outside Stockholm, writing, playing bits of music, improvising arrangements, learning the new stuff and collecting tons of material. In January 1994 Jeff joined the guys and the band recorded and mixed the new album "Humanimal" at Sound Trade Studios in Stockholm. Everything was perfect: the recording sessions, the working environment, everyone having much fun! Except for Jeff being worried about his home situation because of the huge earthquake which hit LA killing 60 and injuring around 8,000 people. Additional musicians on “Humanimal” were Julie Greaux as backing vocalist and the sound engineer Ronny Lahti playing the funky wah guitar on "Seasons". The guys, being so pleased with the recordings (22 tracks recorded and mixed in 22 days), wanted to make it a double album at first place but then decided against it since pretty much all the material would fit on one cd. So Jeff and Marcel chose the set of the songs to be on the album. Unfortunately, the Japanese label Zero, was allowed to put together their own version of the album suitable for the Japanese audience. The whole matter turned out to be a mess: the German version by Polydor was different from the Swedish one featuring "Hypocrite" as bonus track; the Japanese had to release the Swedish version too because of the amount of imports; in Europe a second version was released with the outtakes from the first one. "Humanimal" was greeted with great enthusiasm thanks to a successful combination of metal, funky and pop influences. 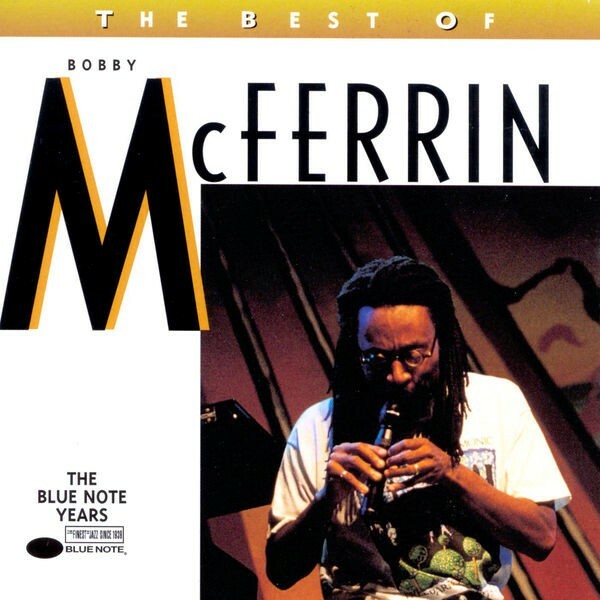 It is still the favourite album of several fans and of more than one member in the band. Despite some good album sales, no touring was done for this album. In 1995 Marcel and Jeff worked together in LA to write the songs for the next album "Life". Drums were recorded by Jamie in a very short time at Park Studios. After doing overdubs, the tapes were sent to Jeff so that he could record the bulk of the vocals at home. The original mixing took place in the same studio where "Genesis" was recorded, once again with the help of Mats Lindfors, but something didn’t sound right to the guys and the album was remixed for the European version. At the same time, several problems with the labels (Polydor, Zero, Empire) occurred, leading the band not to get any touring done for the album. Jeff went on to do things with the Boogie Knights, although he and Marcel had taken some time to record the Human Clay albums. TALISMAN also had the chance to play a couple of gigs and to open up for Yngwie Malmsteen in Stockholm. For those shows the band enlisted Pontus Norgren on guitar (ex Great King Rat) because Fredrik had left in the fall of 1995 to pursue a more metal oriented direction (see the band Southpaw featuring Mats Levén on vocals and John Levén on bass). 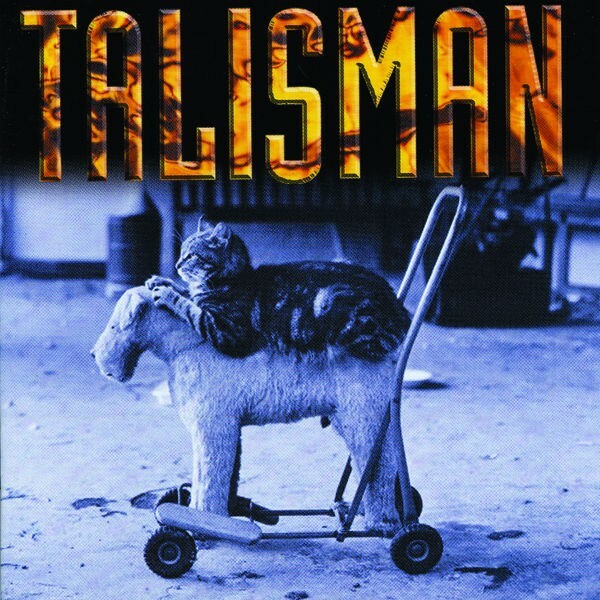 In 1998 the guys were requested from Christer Wedin (Empire Records) to do a new TALISMAN album. Marcel travelled to LA to write songs with Jeff. Jamie and Pontus joined the guys a few days later to rehearse and record drums in a small studio and do overdubs in Jeff's home studio. The new album "Truth" saw the light. The guys had a lot of help with the recording and the mixing from John Ellis (Prism Sound Studios, Boston). 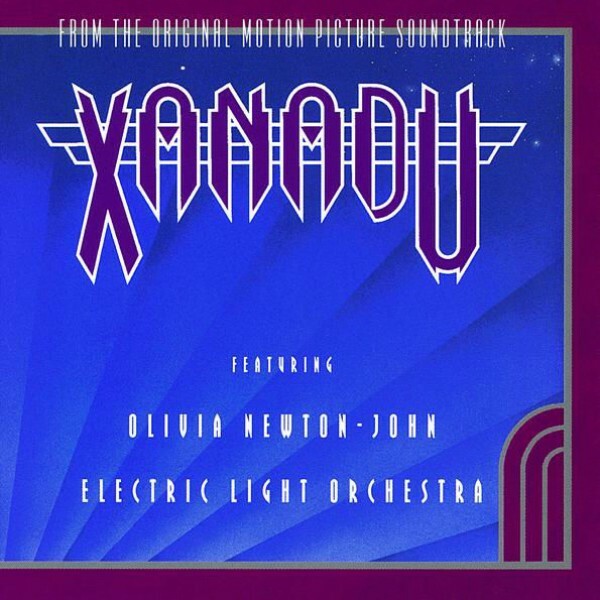 The album included a range of covers: “Darling Nikki” of Prince, “Let me entertain you” of Queen and “Frozen” of Madonna (which apparently became very popular in clubs in Germany). Once again there was no touring done for the album unfortunately. In May/June 2001 Pontus, Marcel and Jeff were busy working in Sweden on the album of Humanimal (the band!). At the same time, dj Dr. Rock from the Swedish Radio Rock Klassiker persuaded the guys to perform at Sweden Rock Festival. Two nights before the festival gig, TALISMAN played in Stockholm. Owing to a miscommunication between Jamie, Pontus, Marcel and the guys doing the mobile recording stuff, Marcel's entire gear (bass included!) was left at the venue in Stockholm instead of travelling with everybody else’s gear down to Sölvesborg, south of Sweden, where the Sweden Rock Festival takes place. Marcel wanted to leave the festival but, after looking inside the tent which was fully packed with a crowd shouting for TALISMAN, he decided not to turn his back on those people. So Marcel and other people started to run around the festival area to look for a bass to be borrowed in time for the show: Magnus Rosén from Hammerfall finally lent Marcel one of his bass guitars. The show went great and, since another band playing at SRF had a mobile hard disc recording unit, Christer Wedin managed to get the TALISMAN show recorded as well. But the sound Marcel had at the show was not too exciting and some out of tunes guitars needed some fixing. So he and Pontus went into the studio to record live together the entire show exactly the same way they would have done it on stage. The live album was released in October 2002 in Sweden only through Empire Records, charting at number 18 the first week! In the same year, the entire back catalogue of TALISMAN was re-issued with bonus tracks on Frontline Records in Brazil. Jeff, Marcel and Pontus later joined forces with drummer Thomas Broman (Great King Rat, Electric Boys, Amaze Me) and finally released the self titled debut album of Humanimal in 2002. In May the band played a couple of shows to support it. Unfortunately, this was not a good moment for the guys owing to some personal, professional and legal problems. Pontus and Marcel had a falling out and this meant that Pontus was out both of TALISMAN and Humanimal. Humanimal split. Marcel and Jeff had a meeting with Christer Wedin who explained the guys were basically free to go into business without him. Since Jeff had already signed a deal with the Italian label Frontiers for his solo album “Love Parade”, he talked to them about doing a new TALISMAN album. Frontiers showed them open arms. Now the guitar issue had to be sorted. Jeff had had Howie Simon playing on his solo album and was now trying to persuade Marcel to involve him. Jamie was at the same time pushing to get Fredrik back in the band. It ended up with Fredrik back in the studio and Howie joining the band for some live gigs. Interesting coincidence, Christer Wedin had been contacted by an Italian recording studio willing to let TALISMAN use the studio for free. This contact was reopened and the guys spent two weeks’ time at the Music Planet Recording Studio in Acqui Terme, near Turin, with Jeff being in charge of everything in terms of logistics and dealing with Frontiers. After having finished in the studio, Marcel and Jeff flew to Boston where they worked with engineer and friend John Ellis for the second time. They were supposed to be mixing, but had to do some editing first instead and so John did the final mixes without Marcel and Jeff. “Cats and Dogs” was released in May 2003 and a tour in Europe (including a headlining slot at Gods of AOR Festival in the UK, a performance at Frontiers Showcase in Italy, a new appearance at Sweden Rock Festival and a show at Lokerse Festival in Belgium) took place in the following months. 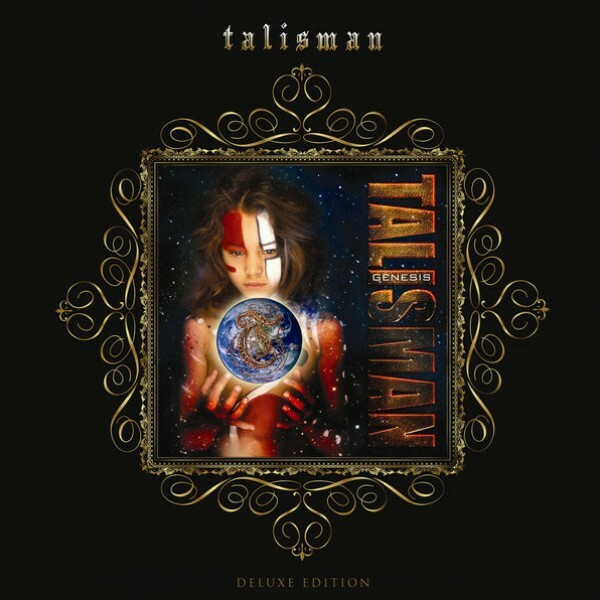 Always in 2003 through GMR Music Group Sweden, the entire back catalogue of TALISMAN was re-mastered and re-issued, complete with bonus-tracks, demos, live gigs, promotional videos, liner notes. In March 2005 through Frontiers Records, TALISMAN launched a double DVD package “World’s best kept secret” which coincided with the 15th year anniversary of the release of the first TALISMAN album. The set comprised two complete shows from the “Cats & Dogs” tour in 2003 (Sweden Rock Festival and Club Mondo in Stockholm), archive backstage and live footage, all the band’s promotional videos, an instructional video from Marcel Jacob and much more! A double live album “Five men live”, including the gigs at Sweden Rock Festival and at Club Mondo, was also released at the same time. 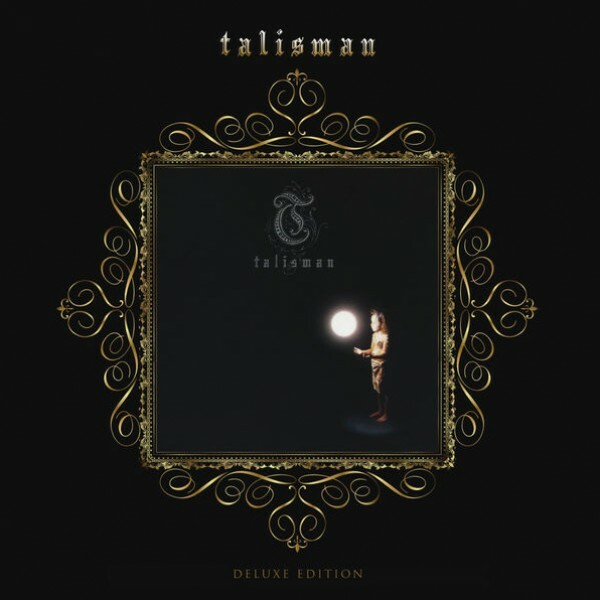 For about 9 months starting from the end of 2005, Jeff, Marcel, Jamie and Fredrik have worked on a brand new TALISMAN album called “7”. According to Marcel, this might simply be the best TALISMAN album ever!!! The release is due on 20th October on Frontiers Records with a Japanese release on King Records. The working title was “Bar” which stood for “Bitter-Angry-Resentful”, basically a joke referring to the guys’ outlook on certain life events. The guys then opted for the more straightforward title “7” (it’s actually the band’s 7th studio album!). The new material is very melodic including some ballads, yet it encompasses what is the band’s trademark: catchy hooks, groovy rhythms, aggressive guitars and the ability to play different music styles. All songs were written by Marcel and Jeff, except “Shed a tear goodbye” which was written by Jamie and Jeff. “7” was recorded at XTC Studios in Älvsjö and at Mahatma Gandhi Location in Stockholm, with all the vocals done at the Hampton in Northridge, California. Marcel has handled all guitars, except leads, and keyboards. The album will include 11 tracks and was mixed by Pontus Norgren, who is also the guest guitar player on “Final curtain”, the bonus-track on the Japanese release. The band was supposed to do a tour in September/October 2006 hitting Germany, Greece, Belgium, Italy and Spain, but everything has been delayed to further notice due to Jeff’s commitment in Journey. Another go will be given as soon as possible. 3)Talisman is Loyko reborn after the famous late Gypsy Trio disbanded in the summer of 2000. Loyko’s guitarist Vadim Kulitskij immediately founded the new trio Talisman with Oleksandr Klimas on violin and Oleg Nehls on button accordion. All three are master musicians but if the crown of devilish chops must go to one of them, it is to Klimas whom aficionados already call Russia’s new Paganini, so superhuman is his virtuosity. Perhaps more ungodly yet is the mindbending precision whereby these three sail effortlessly through drastic time changes and the cossack-style prestissimo finales whereby Russian Gypsies speed up tempi to beyond what seems possible. With haunting vocals compliments of Kulitskij in the lead, and diverse effects by way of pizzicato and guitar-style strummed violin, Russian Gypsy Fire takes folk tunes and similarly inspired material and transforms it into conservatory-style concertizing of the very highest caliber. Like the Nedim Nalbantoglu/Roberto de Brasov trio with Turkish violin and Bulgarian accordion, Talisman manages to sound far denser than seems possible for a trio formation. These musicians conjure up a microcosm of folkoristic symphonica such as Zoltan Kodaly and Bela Bartok put to score. And lest one suspect multi-dubbing trickery, performance applause between tracks reminds us that we’re listening to a live performance. That’s when you really shake your head in utter disbelief. In short, this is fiery music, fiercely demanding from a technical perspective and equal parts passion and bravado. It’s as though the guitar and accordion equivalents for moviedom’s Red Violin had met up in Buchara and found themselves in the hands of gods letting ‘er rip for one round of mortal excess, shredded strings, hoarse throats and bloodied fingers to be transformed in the hereafter.